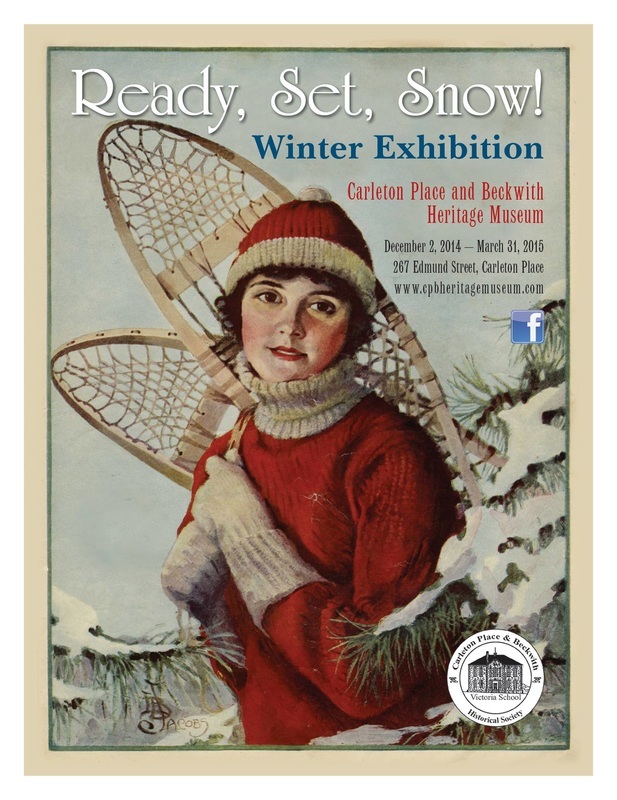 in Carleton Place and in Beckwith Township, past and present! Our summer exhibit "Memories of an Innocent Summer" opened on Saturday May 17th. Join us as we explore the everyday lives of local residents during that long hot summer of 1914. Miss Bertha Mayhew ran her own millinery shop on the main street of Carleton Place in the late 1800's. She had learned the trade from her older sisters who ran "The Misses Mayhew" hat and dress shop in Pakenham. After falling in love with and marrying the shopkeeper next door, barber and tobacconist Henry Schwerdtfeger, she closed her shop and Henry took over the entire main floor for his businesses. The couple continued to live upstairs with their daughters Gladys and Hazel before buying a large red brick home on Lake Avenue West. Bertha continued to work out of her home, and years later, when daughter Hazel died in 1988, executors discovered boxes and boxes of hats and millinery supplies in the attic. Many taxidermy birds, lace, netting, beadwork, chenille flowers and buttons are still in their original packaging. With great foresight, this collection was donated to the Carleton Place and Beckwith Heritage Museum by the Hazel Schwerdtfeger Estate. This is an exhibit not to be missed. In addition to Bertha's collection, we have more recent hats on display, including infant caps, summer straw hats, and many "working" hats, worn and donated by members of the community.